Lily is the first person you meet when you enter AIM’s front door. She is our Administrative Manager and enjoys meeting students and hearing their stories. She is a trained teacher, and enjoys reading and watching historical films. An avid supporter of Jamaican culture, she enjoys exploring art and music from local artists and seeking adventure by exploring undiscovered places in Jamaica. Each day, Lily works to ensure that she makes the atmosphere at AIM a welcoming one. Hey Buddy!, I found this information for you: "Admin Team". 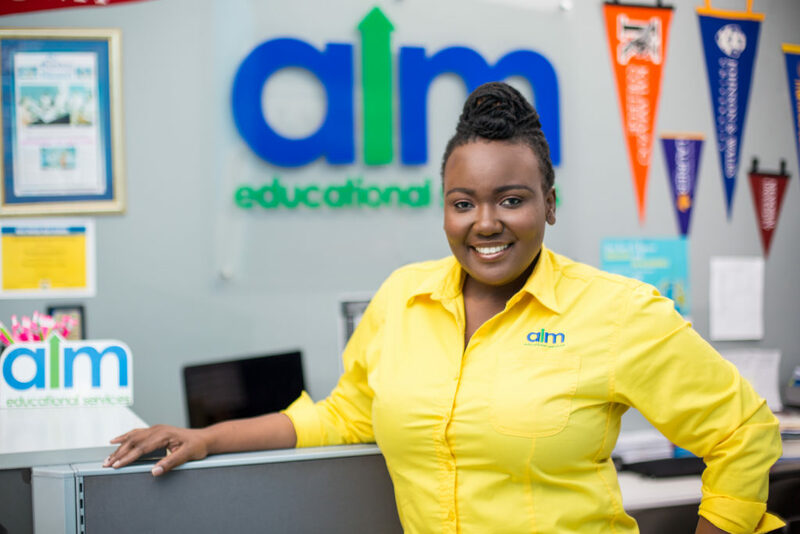 Here is the website link: https://www.aimeduservices.com/about-aim-educational-services/admin-team. Thank you.